Mac Miller's family will never forget his impact. In a statement released just hours after the rapper died from an apparent overdose, Mac's loved ones tell E! 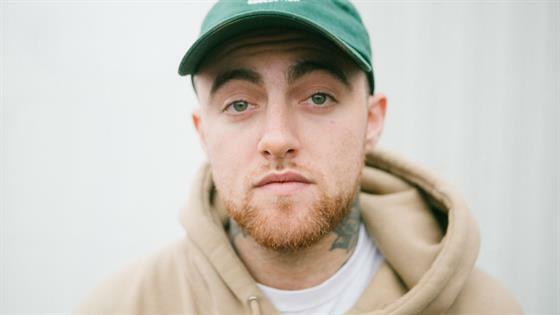 News, "Malcolm McCormick, known and adored by fans as Mac Miller, has tragically passed away at the age of 26. He was a bright light in this world for his family, friends and fans. Thank you for your prayers. Please respect our privacy. There are no further details as to the cause of his death at this time." As previously reported, authorities with the Los Angeles Police Department responded to a death investigation near Mac's Studio City, Calif. home on Friday. TMZ cites law enforcement sources who claim the 26-year-old was discovered at 12 p.m. local time in a bedroom inside his residence. E! News has confirmed that Miller was pronounced dead at the scene. In the aftermath of his shocking death, Miller's peers in the music industry and the Hollywood community at large took to social media to mourn the loss and reflect on his legacy. Chance the Rapper, who toured with Miller in 2013, said he was "completely broken," tweeting," Beyond helping me launch my career he was one of the sweetest guys I ever knew. Great man. I loved him for real." Post Malone echoed a similar sentiment, sharing online, "You were such an incredible person. You changed so many lives. Had so much love in your heart. You inspired me throughout high school, and I wouldn't be where I was today without you. Never a more kind and sincere and beautiful person. I f--king love you mac." Other members of the music industry who addressed Miller's passing included G-Eazy, John Mayer, Lil Xan and Ed Sheeran. In a 2014 interview with Complex, Miller's mom Karen Meyers, discussed their family's support for his musical endeavors. "I'm incredibly proud and impressed," she gushed. "I've gone all over the place. My mother and I went to the south of France and we've seen him in Paris, and… Wow! We're super proud of him." Mac's death comes just weeks before he was expected to kick off a major United States tour. His most recent album titled Swimming was released this past summer and debuted at No. 3 on the Billboard charts.